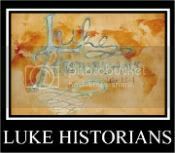 Visit our new website at www.LukeHistorians.com: What is True Science? The history of science is one of my primary interests. What constitutes science, how scientific opinion and data has changed or appeared, and what sort of influence the whole field of science has on culture, as well as vice versa. Despite all its glory, science is, after all, a very narrow vacuum of understanding when viewed in a historical context. It can only tell us so much, and when the majority of society places upon it burdens and responsibilities it cannot live up to, distortion is inevitable. Hmm, perhaps a chiseling of definitions is in order. After all, science can apply to different things when used in a general context (i.e., historical science). In the comments on my last article, a debate erupted over whether or not Creation and Evolution are falsifiable and therefore “real science.” I tried to explain that Creation and Evolution are scientific worldviews whose sub-hypotheses constitute predictions, which are falsifiable, which thus constitute “real science.” After thinking things through for awhile and looking things up, I realized why there was so much confusion over what is true science.